I am currently halfway through my practice teaching. As of now, I’ve already felt how hard it can be to become a teacher, as well as how fun it is. I used to tell myself that I’ll be that uptight teacher but funny teacher. But now, I think I can’t be like that; instead, be that kind and approachable teacher and strict at times needed. I don’t like my students to fear me. I want them to respect me out of likeness (or even love). I deeply value words of affection and at the same time the act of having to discipline them accordingly. I don’t want my students to take me for granted. It is important to touch them with your words. One time, the lesson I was asked to teach is about personal challenges. All we did in class was to talk about their problems and difficulties within themselves. I was so touched to learn that the activity brought something good to my students. They liked the activity because they felt light and free after it. They learned how to trust and not to judge other people. They knew that they will have that special friend in their class that they can always rely on. It’s overwhelming to hear that kind of feedback from my students. One of my students even cried having her remember her challenges in life. I sort of panicked for a moment because I didn’t know what to say to make her feel better. (Well, I just told her that it will go away soon). 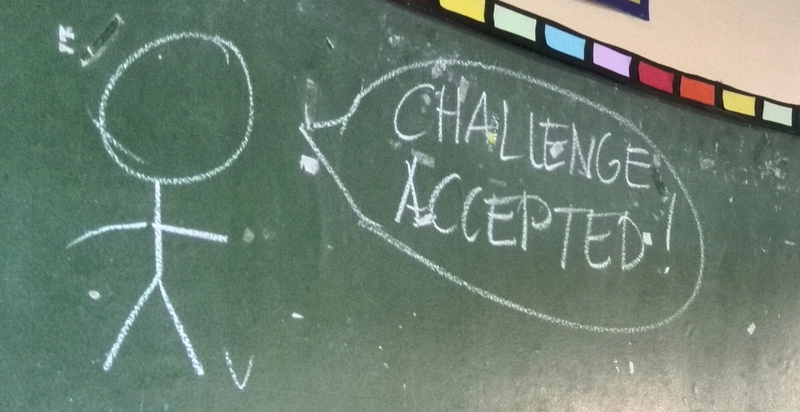 “CHALLENGE ACCEPTED!” (if they only knew how Barney Stinson interpreted this) After that, I told them one of my challenges in life which is my heart condition. I got them all staring at me and paid attention. I told them how difficult my situation is and how controlled my life is right now. That I feel tons of fear when it attacks. But then I get to tell them… even if I felt so nervous to share it to them. 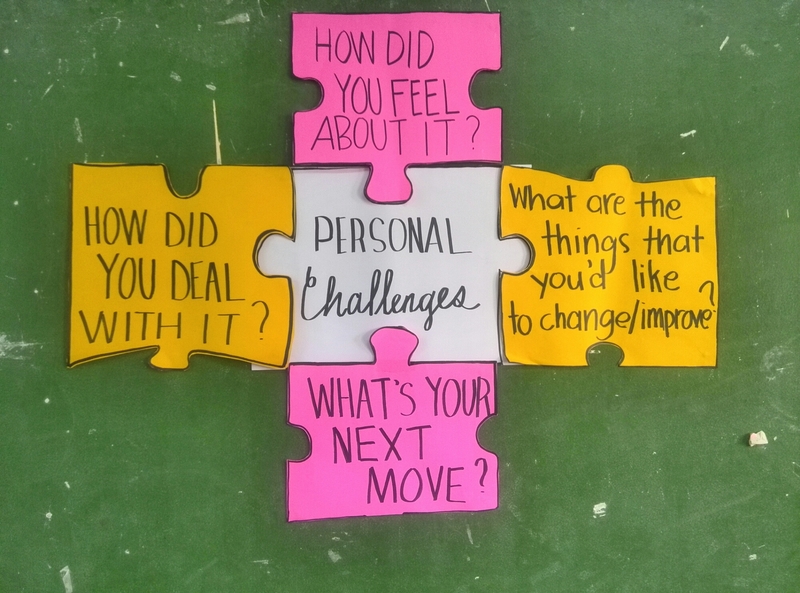 It feels so wonderful to be able to let your students realize that challenges are parts of our lives. We don’t have to be afraid because our challenges teaches us to be stronger, wiser, and braver. It teaches us to get up for the 8th time when we fell for 7 times. I’m still a practice teacher but I felt like I have already inspired my students even just a little – I really do hope so. I know that is God’s purpose for me, 🙂 I know that is what He wants for my life… to inspire young minds for a better future. Movie Junkie/ Movie Critic Alert! 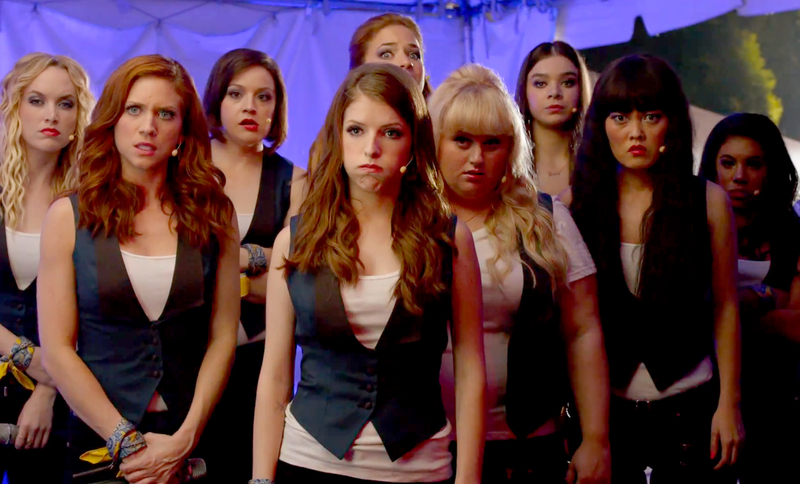 I have watched the sequel of Pitch Perfect and I just can’t get over it! A Capella is really a tremendous form of singing. Every performance in the movie is really stunning. It showcased how A Capella has different varieties. You will really enjoy watching, especially for music enthusiasts. Pitch Perfect is a must-watch movie not just because it’s a sequel like the Avengers: Age of Ultron or Fast and the Furious 7 that you have to watch to know the story. You have to watch this movie because it is worth every penny. It teaches you to push for your passion and to dare you to be unique and to be different. If you have watch the first movie a hundred times, you will watch Pitch Perfect 2 a million times! 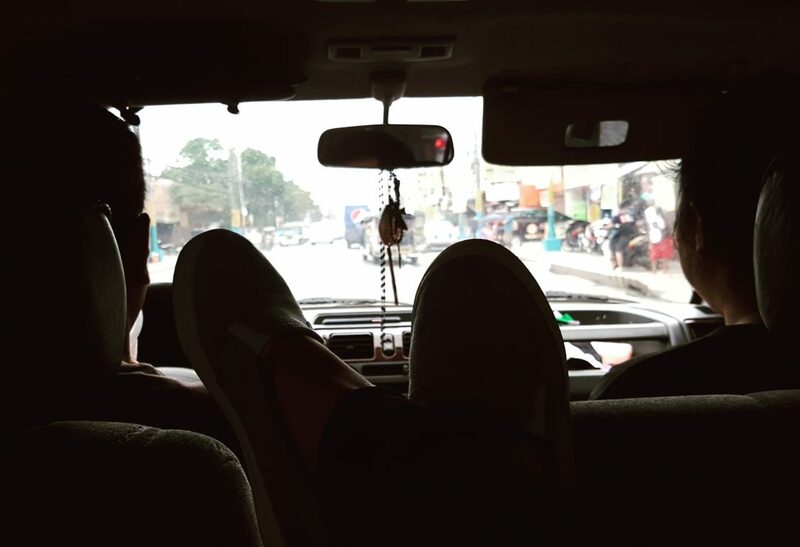 Last December 29, 2014, my family and I went to watch one of the movie entries in the annual Metro Manila Film Festival. I’m a Movie Junkie, so I can’t help but to criticize the film. First of all, it was morbid. It’s kind of a gross movie. And I really hate those kinds of movie that’s disgusting. (Although it wasn’t all through out). The quality of the movie seems to me has dark lightings. Well, maybe because they intend to do it on purpose. I didn’t like how they shot the different angles, and how I got dizzy – but only on few scenes. Some lines are a bit corny but funny still. The plot was a bit short and fast-paced. Although, I already know why they do it – cut through details and get to the main point. Oh, the song they use in the credits was horrible! It supposed to mean a lot because it should be able to make the audience what the director would want them to feel. But they failed at that, seriously. Anyway, I am glad I have watched it because it gave me some insights. I may have underestimate the power of Filipinos in making films and TV series but I will always believe in our capacity to improve. We are better at some things. But still, there are times wherein we can’t help stereotype SOME Philippine Films. Because I am so tired from paying a visit to the dead from Manila North Cemetery – one of the biggest cemetery in the country, not to mention, the most crowded one. Soooo, I am so desperate to watch a movie, and I am having a dilemma. I was asking my sister what to watch. I asked her which actor is good to watch: Ryan Reynolds? Blake Lively? Leonardo? Jude Law? Amanda Seyfried? I don’t wanna watch action because I don’t want to have thrilled emotions. I don’t want sci-fi because I don’t want to process my mind. I am also not up to watching drama, I don’t want to feel sad. I would want rom-com, but too cliche.